Independent candidate, journalist Gohar Veziryan, says she has an advantage against party-nominated because voters are weary of party-based politics. At a press-conference on Wednesday, the first-time politician journalist boldly stated that her opponent party is itself not oppositional. “A political force, which states that after the elections they are planning to join the ruling coalition and holds secret meetings with the authorities, a political force, which arranges secret meetings and decides that during the campaign they will not carp at the authorities, how can it be an opposition,” says Veziryan, a reporter for Chorrod Inknishkhanutyun daily (Fourth Sovereignty; with a circulation of about 1000). Responding to Veziryan, popular Heritage Party Member of Parliament Anahit Bakhshyan Bakhshyan said that Heritage Party did not and cannot have a secret or a non-secret meeting with Republican Party of Armenia (RPA). “Heritage Party for five years has been talking about the illegalities committed by the coalition political force, and about robbing the State Budget, it was against all those projects which made Armenia end up here, in particular against the State Budget of all those years, which was like a stream that runs to oligarchs’ pockets. And now such a grave accusation [is voiced against us] . . .” Bakhshyan says. Lyova Khachatryan from Prosperous Armenia Party (PAP) and Tigran Ter-Petrosyan from Armenian National Congress (ANC), who is ANC leader Levon Ter-Petrosyan’s nephew, are also nominated in the district. 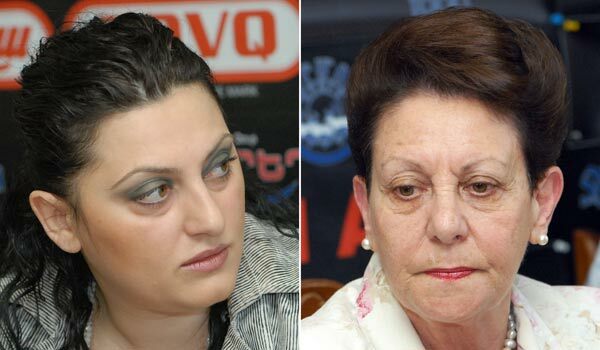 Comparing the election campaign this year with the one in 2007, Bakhshyan said that now TV companies give comparatively equal coverage of campaigns. As for negative aspects of this year’s campaign, Bakhshyan singled out the fact that during their campaign meetings RA National Security Service officers are ever-present watching closely their every step. Speaking about the election bribes, she said that now a number of candidates promise to give money for votes one day ahead of the elections. “They visit apartments and take people’s passport data and promise to give them money one day ahead of the elections. PAP continues distributing fertilizer, and Orinats Yerkir (Country of Law) Party - pumpkin preserves in villages,” Bakhshyan says. The MP promised a “substantial” monetary reward to those who will take a photo or a recording of the moment of someone distributing an election bribe and will pass it to her.